No star backyard in Australia is complete without an outdoor kitchen – Sydney included! Outdoor kitchens are the ideal choice for Aussies as it allows us to take full advantage of those hot summer evenings and entertain outside. Well, who are we kidding, it’s warm enough in autumn, spring, and sometimes even winter, too! Now, we can’t all afford to build a grandiose outdoor kitchen, replete with barbeque, burners, extractors, sinks, fridges, prep benches, and outdoor space in Sydney can be limited. However, we can find some pretty awesome setups that are portable and can fit into many outdoor areas. These outdoor kitchens are designed with both ease of use in mind, as well as the ability to take it with you or move it around, should the need for it arise. 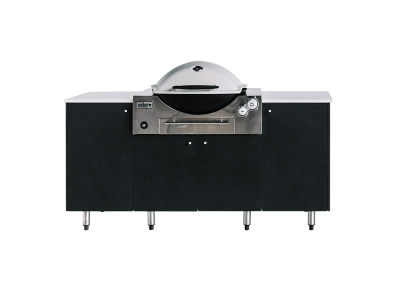 Our current range of outdoor kitchens includes the SustainaPod series, which is built to fit popular Weber models as the barbeque in the setup.